We have a guest blog from one of our foreign wholesalers about why Made in the USA is the only way to go. Enjoy! Why does Made in the USA Matter for Vaporizers? Finding the best cannabis vaporizer can be rather tricky. Most of these devices are made in China at a lower cost, and you can see that right off the bat. The build quality is not the best, and most of these devices tend to lack the visual appeal and quality that you would expect. Although you see videos of people producing large clouds and touting these products they are often a safety and health risk. Why is it important to purchase a vaporizer made in the USA? It doesn’t matter if you get the Grasshopper vaporizer or another flower vaporizer, you want a product that’s Made in the USA or another reputable Country. The primary reason is that the material safety is a lot better. US-based vaporizer manufacturers acquire better materials and have close oversight of production process. In the case vaporizers manufactured in China, you receive lower build quality, and that comes with various safety hazards. It will be very hard for you to say for sure that the materials in the device are not outgassing or causing combustion. If you care about safety when using a vaporizer, using cheap and sub-par products is not recommended. Which is the best cannabis vaporizer that meets these requirements? There are a few great options for you to choose from and further research will be required to decide what fits your lifestyle the best. 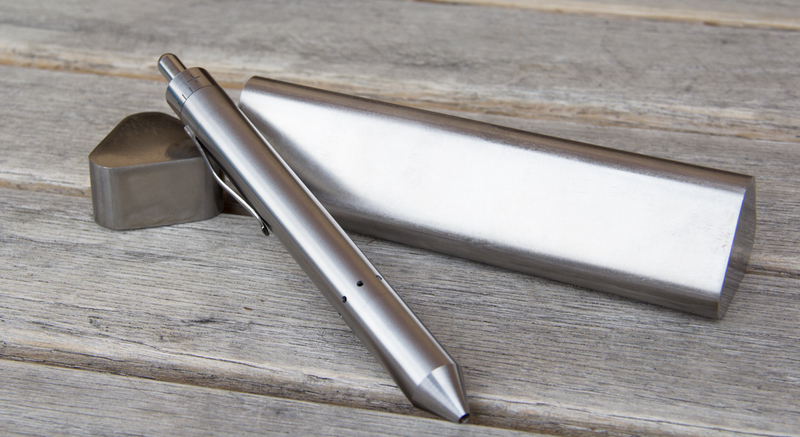 For us, the Grasshopper Vaporizer, in particular, is a high-quality product that was designed and built in the USA. The Grasshopper stands out for its small size, 5-second heat up time, and stainless steel/titanium construction. It has all the features we look for in a vaporizer including a swappable, rechargeable battery, a wide temperature range, and a lifetime warranty. If you always loved the pen form factor, it is hard to be the Grasshopper as a small convection solution.